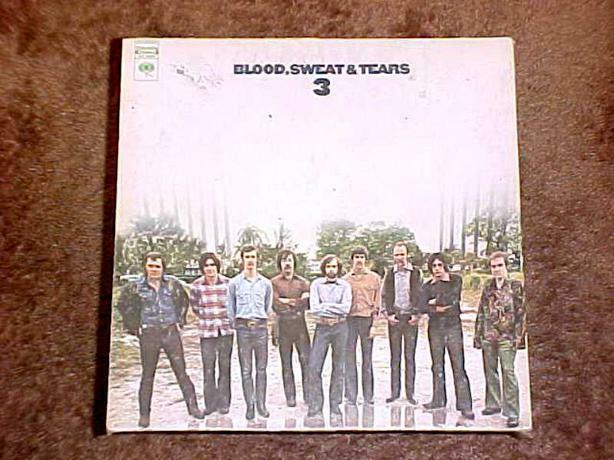 COLUMBIA RECORDS RELEASED THIS RECORD ALBUM, 3, BY BLOOD SWEAT & TEARS IN 1970. IT'S NUMBER IS KC 30090. IT FEATURES DAVID CLAYTON THOMAS AND THE HIT SONG HI-DE-HO. BOTH THE SLEAVE AND RECORD ARE IN GOOD CONDITION. FOR OTHER RECORDS, ANTIQUES, VINTAGE COLLECTABLES AND ITEMS OF HOUSEHOLD INTEREST, PLEASE VISIT MY OTHER ADS.